The impact of the S.S. Huebner Foundation on higher education in insurance and risk management has been profound. While many institutions and organizations have contributed to the field, the Foundation, implemented at the Wharton School, has played a major role in sustaining insurance and risk management in higher education and thus has directly helped the insurance industry and public interest. Huebner alumni have served as state insurance commissioners and headed government programs, such as the Federal Flood Insurance program. They have conducted pathbreaking research projects on important public policy issues, including health care financing, insurance guaranty funds and risk-based capital systems, insurance fraud, insurance availability in inner cities, and auto insurance price regulation. Fellows have testified before Congress and have played key roles in drafting legislation. Through its doctoral graduates, the S.S. Huebner Foundation has had a major impact on risk and insurance education. An estimated one-third of all collegiate education in insurance is provided by Huebner alumni, they teach thousands of students each year worldwide. Huebner Fellowships are available to Georgia State University J. Mack Robinson College of Business doctoral students in the Risk Management and Insurance program. The fellowships provide an annual stipend. Fellowships are granted for one academic year and are renewable on evidence of satisfactory progress for up to 2 years. Huebner Fellows are selected from among Ph.D. students in the Department of Risk Management and Insurance by the Executive Director of the Foundation and the Doctoral Program Coordinators of Georgia State University’s RMI doctoral program. The selection of Huebner Fellows addresses the Foundation’s traditional goal of supporting collegiate risk management education. Huebner Fellows have academic research interests in insurance economics specifically or the efficient allocation of risk in the economy more generally. 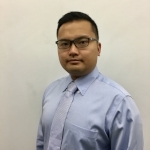 Qiheng Guo (Steve) entered the RMI Ph.D. program in 2013. He received his bachelor degree in actuarial science / mathematical statistics and a master degree in applied statistics from Purdue University, West Lafayette, IN. His research interests are in actuarial science / insurance pricing with ongoing projects including capital allocation in a P&C insurance company and forward looking mortality trends using term insurance prices. His dissertation advisor is Daniel Bauer (currently with University of Alabama). Qianlong Liu holds an undergraduate degree in Statistics from Jianan University and a master's degree in Actuarial Science in Nankai University. He had a one-year visit to Heidelberg University before he joined the Ph.D. program in RMI in 2015. His research interest generally lies in felid of insurance economics and Professor Ajay Subramanian is his supervisor. Xing Wang entered the RMI Ph.D. program in 2014. She holds an undergraduate degree in Mathematics from Tsinghua University and a master's degree in statistics from the Georgia Institute of Technology. Her research interests are in the risk measure, extreme value theory, mortality and annuities, and her dissertation advisor is Professor Liang Peng. *Huebner Executive Fellows are selected from amongst the Executive Doctorate in Business (EDB) students in the Robinson College of Business. HF’s goal is to assist professionals and executives in the EDB program who seek to develop the disciplined research skills necessary to address contemporary insurance and risk problems in such areas as regulation, policy, or industry practice.